The one that re-started it all! The Dude shows up for his first day working at RWS and hilarity ensues! Fight cops! Rage against the Man! Snuff the Taliban! Buy Milk! Get an autograph from Gary Coleman! Forget what you know about first person shooters. Walk for a whole week in the Postal Dude’s shoes. Freely explore fully 3-D open-ended environments. Interact with over 100 unique NPCs, marching bands, dogs, cats and elephants, protesters, policemen and civilians, with or without weapons. This is THE ultimate FPS for sandbox slaughter and mindless mayhem you are looking for! 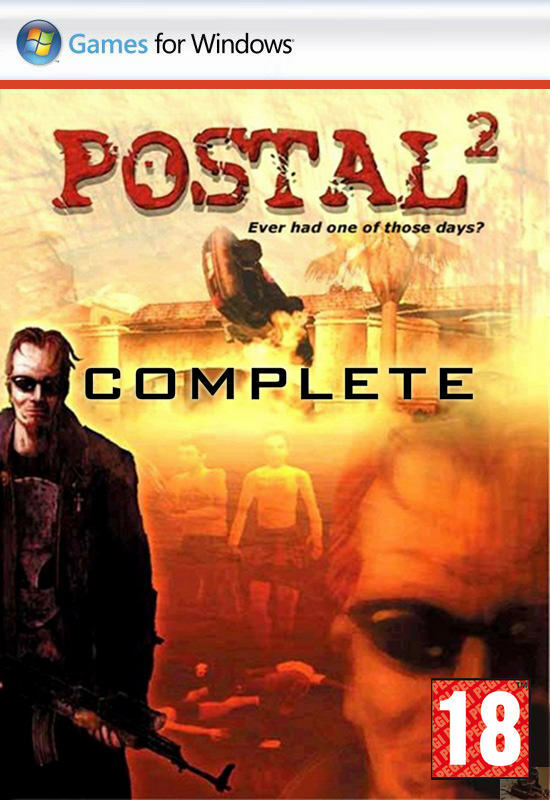 – Includes the original POSTAL 2 and the first 2 expansions. – Exterminate terrorists, bank robbers, cats from hell and evil nurses! – Cheesy jokes mixed with wanton mind-numbing violence. Ten years after his Apocalypse Weekend escapades, The Postal Dude finally returns! 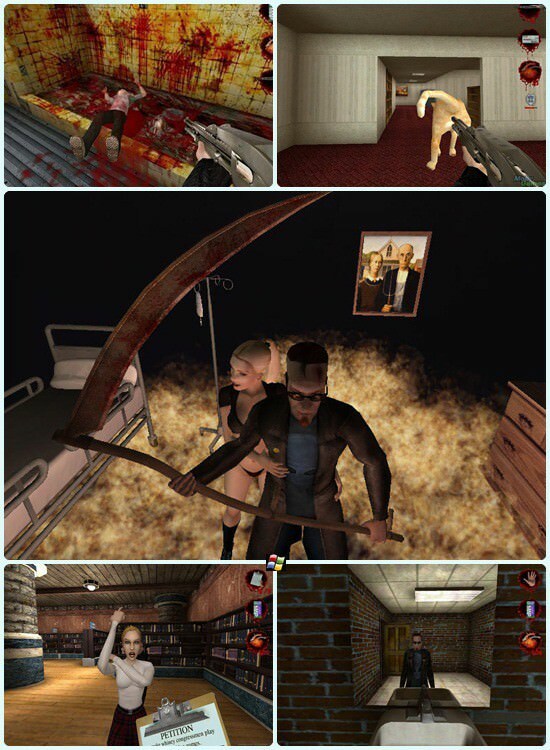 Paradise Lost is a full-fledged expansion pack for POSTAL 2 continuing the saga of the POSTAL series. Join the Dude as he ventures back into his former hometown embarking on a quest to find his lost dog. Not all is at it seems, as the once tranquil (relatively speaking) town and its citizens have been transformed in the wake of the nuclear destruction. Dare to enter the varied Zones as you cross the Arid Desert, trek through the dense Rainy Foliage, freeze your nuts off in the Nuclear Winter, and roam under the Ashen Skies. Meet the many mysterious factions comprised of the towering, the miniature, the zombified, and everything in between and use your radiant people skills to attempt to ally yourself with their enigmatic leaders, ranging from former child stars to terrifying demonic udder-wielding beasts! Fierce Lawmen, crazed Bandits, deranged Doomsday Survivalists, and a phallic child's toy mascot await. Do whatever it takes to survive! Wait in lines! Use vending machines! Buy toilet paper! Journey to where it all began to rescue your loyal companion! Before start installing, disable your Anti-virus.